The fabled Ford F-150 pickup gets a redesign, added tech and a new turbocharged diesel engine to take on its competitors. The Ford F-150 pickup is the most profitable vehicle of all time, and has been for nearly 40 years. For Ford, then, the pivotal pickup is one of the most important vehicles in its roster. During the Detroit Auto Show 2017, the automaker has revealed what we can expect from the upcoming 2018 model, including new styling tweaks, advanced safety technology and a powerful new diesel engine option. As part of the facelift, the 2018 F-150 will gain a new grille, headlamps and bumpers. These changes will create a “visually wider and more planted stance and maximum differentiation between the series”. The tailgate has been revamped with new tail lamp designs, along with other style tweaks to differentiate the King Ranch, Platinum and top-of-the-range Limited trim options. To complete the new look, six all-new wheel designs will be available for the 2018 model F-150, ranging from 17 to 22 inches. These cosmetic changes are minor, however, compared to what will lie under its aluminum body. Arguably the most significant addition to the fabled F-150 is the launch of a new 3.0-liter Power Stroke diesel engine, which should keep Ford’s competitors at bay. That doesn’t mean its gasoline variants have been neglected, though: the traditional V8 gas engine, available in both 2.7 and 3.5-liter guises, have been enhanced, too. Meanwhile, the 3.3-liter V6 engine will have direct-injection for increased efficiency and is expected to offer an equivalent power output of the previous model’s standard 3.5-liter V6, packing in 282 horsepower and 253 lb-ft of torque. The naturally-aspirated 5.0-liter V8 will also feature “significant upgrades for increased power and torque”, and will be be equipped with a 10-speed automatic transmission for the first time. 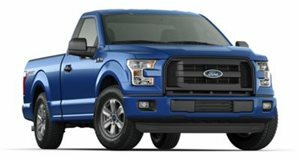 To keep the F-150 ahead of the pack in the pickup sector, Ford has added an array of new optional, high-tech electronics, including adaptive cruise control, pre-collision assist with pedestrian detection, 4G LTE connection with mobile WiFi hotspot, and a Bang & Olufsen audio system. These new additions join Ford’s existing Sync infotainment systems, around-view monitor, lane-keeping assist, and blind-spot monitoring. The 2018 Ford F-150 will go on sale this fall, with at least one more major update planned for the future. Ford is also currently developing an F-150 hybrid as part of its plans to take on the EV market with 13 new electrified vehicles in the next few years, including a Mustang hybrid which nobody expected.